South Africa is a culturally diverse country, one nation made up of many peoples. It's well known that South Africa has produced some of the all-time greats of golf, cricket and rugby. 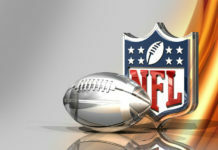 Less well known is the fact that a man destined for American football's Hall of Fame, the scorer of the most points in the history of the NFL, was born in Parys and raised in Durban, South Africa. 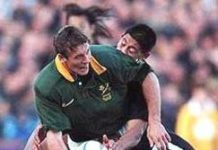 Natal Sharks' eighthman Gary Teichmann played 42 tests for the Springboks, leading the national team on 36 occasions and establishing a reputation as a hard-working, committed, courageous and fair player throughout the rugby world. 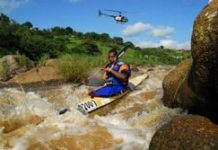 South Africa is blessed with three world-class canoe marathons, each offering the paddler a supreme challenge along with genuine camaraderie in a field that includes not only those trying to win, but also those who come to compete with themselves and the river. 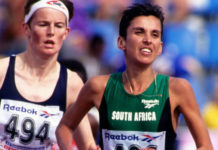 Elana Meyer was among the world's elite athletes for over 10 years, establishing world records at 15 kilometres and the half marathon, and boasting five of the 15 best half marathon times in history, a consistency matched by few other athletes. For the golf enthusiast, South Africa is a wonderful destination - and that's an understatement. 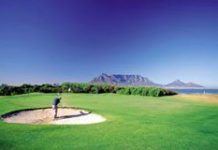 The country boasts an ideal climate for spending time out on the fairways under the bright African sun, and golfers here are blessed for choice. 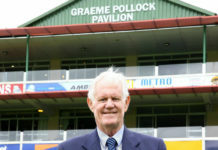 A left-handed batsman who struck the ball with immaculate timing, making the game look at once simple and stunning, Graeme Pollock was arguably the greatest left-hander in cricket history, with a test average second only to Sir Donald Bradman. 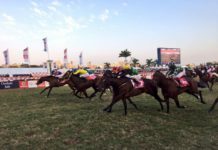 Horse racing is a popular sport in SA, with regular racing taking place around the country. The sport enjoys a long and rich history in South Africa that can be traced back to 1797! 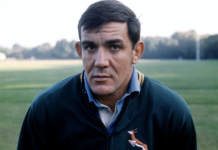 When South African rugby fans named Frik du Preez the country's rugby player of the twentieth century, it was a vote not only for his prodigious performances on the field, but also for his charisma and influence on those around him. After 21 years without success, Ferrari finally crowned a Formula One world champion in 2000 when Michael Schumacher won the prestigious title. Ironically, it was thanks to this lack of success that the previous Ferrari champion first became known to the new generation of racing fans. He was South Africa's Jody Scheckter. Missing your potjiekos? Forgotten the recipe for bobotie? 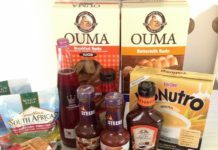 Want to know where you can buy real biltong - or make your own? Here's a directory of links to help you recapture the taste of home.